The Bourbon Kings was everything I wanted and more! It has that BDB feel, only contemporary. There is nothing paranormal in this book, but I loved it anyway! I enjoyed it from page one until the very end. DEVOURED IT! The story is about Lane & Lizzie, but if you are familiar with J.R. Ward’s work, then you know she always has to introduce other characters and drag them through the mud before you get their complete story. I think that was what I loved most. You meet Lane, his sister Gin, and his brother Edward. All three siblings have a story. I was completely lost in their mess and their drama, I could not stop reading. I really hope that Gin gets her own book because that woman has some secrets that kill! I am dying to know how it will all play out. 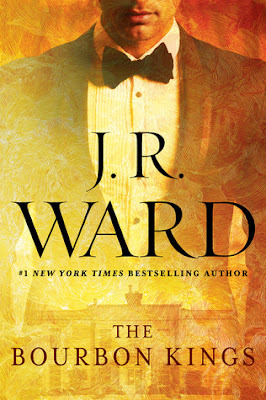 Ward fans, trust when I say you WILL NOT be disappointed with The Bourbon Kings! I don’t know why, but I laughed so hard at this part! A DEFINITE MUST-READ!